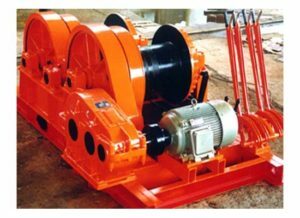 Construction winch is mainly used for lifting material on the land, such as warehouse, factory, industrial site, railway building , material handling yard. 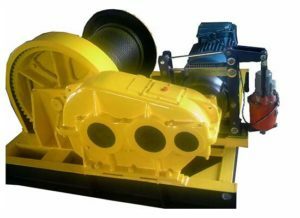 Construction winch has wide application in factory, warehouse, material handling yard, construction site, mining, industrial building site. 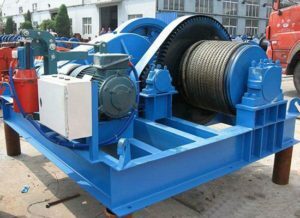 It has types as free fall piling winch, fast speed winch, slow speed winch, pulling winch, slipway winch, constant tension winch, friction winch. 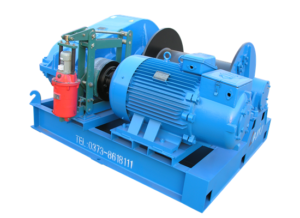 This kind of winch has complete safety protection devices, such as overload protection, over-speed protection. To ensure the safe operation, pay attention to following tips. Do not operate winch unless you are fully trained and authorized to do so. Winches should not be used for lifting or transporting personnel. Never modify or alter winching equipment. Do not use winch for vertical lifting unless utilizing a designed application Keep hands clear of rope and fair lead opening, use appropriate gloves. Before using winch, check whether gear box and free spool have a correct amount of grease. 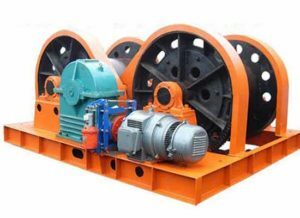 Our company has customized service, winches with different lifting tons are available, such as 5 ton winch, 10 ton winch, 20 ton winch, 30 ton winch, 50 ton winch, 100 ton winch. 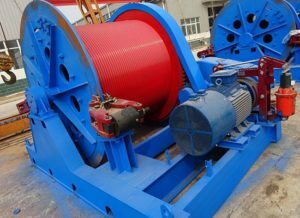 Contact us for AICRANE construction winch!